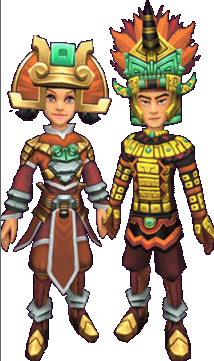 News – Tribal Pack Give Away – Day 6! Which world teaches you to fight in the arena under the blazing sun? The Last Right Answer Wins! – Sometimes being the last to get on the ship can be a good thing. If you know your Pirate legend and lore; you’ll be able to answer all our contest questions. We’ll email the winners by 9pm each day. We’ll also post the day’s winner (first name only & their pirate name)! We heard from a Pirate fan in Australia who let us know that while they’re sleeping, we’re holding our contest. So they never really get a chance to enter. So tonight after we pull today’s winner, we’re going to post tomorrow’s drawing contest and let it run till 6pm. And we’ll do the same thing for the remainder of the drawings through Sunday! So the rest of our Contest Days will begin at 6:30 pm eastern tonight – and will close at 6pm tomorrow evening! And check out the kewl pic sent in by our First Winner!